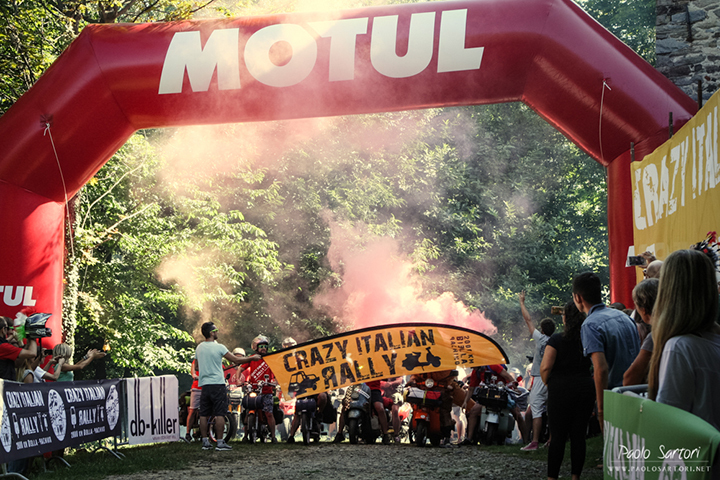 CrazyItalianRally is a non-competitive race in which the Italian peninsula is crossed from North to South, from Biella(BI) to Pachino-Marzamemi (SR). 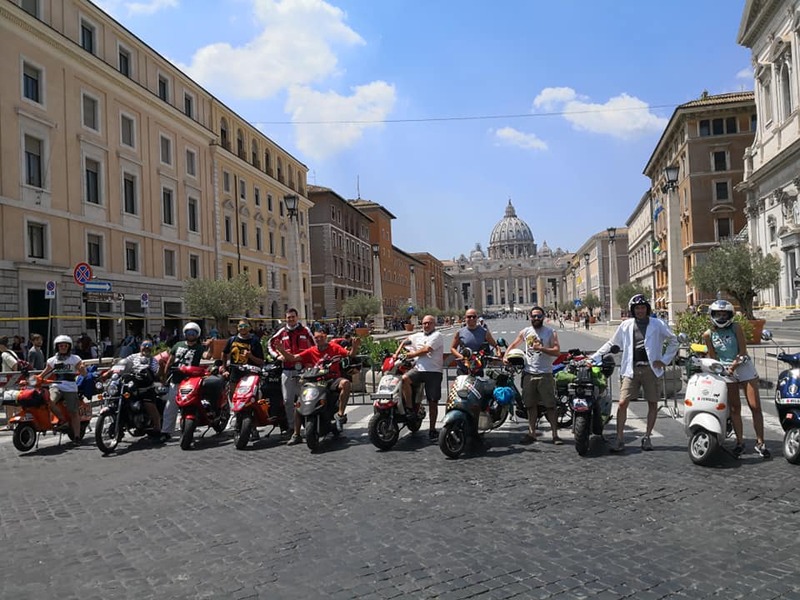 Two thousand kilometers riding a 50cc vehicle with two or three wheels: Vespa, Ape, Ciao, Califfone, Fifty…the great “cinquantino” mopeds in other words, which characterized our teenage years. From North to South dealing with problems given by the type of vehicle but also surrounded by the beautiful landscape that Italy offers during the journey. It’s not an organized trip! It’s an adventure. You will be completely entrusted to yourself. 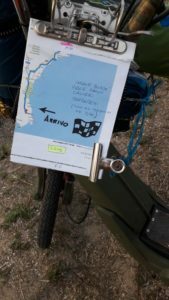 No intermediate check point and no support veichles; the route will be your own decision. 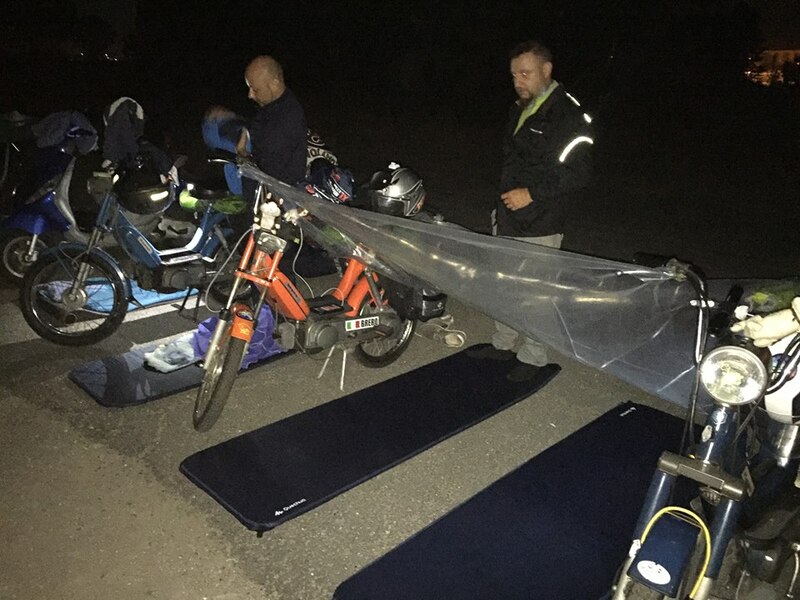 You will be alone or with your new travel friends, in a completely new place, to deal with engine failure, a puncture or with bad weather… This is time to makeshift skills, it’s time for adventure! Only 50cc, 30km cruise speed, low reliability. 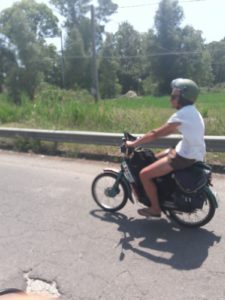 The mopeds will be unfit to travel such a long distance. The arrival is the most southerly point in Italy, no obligatory routes or check point to do. 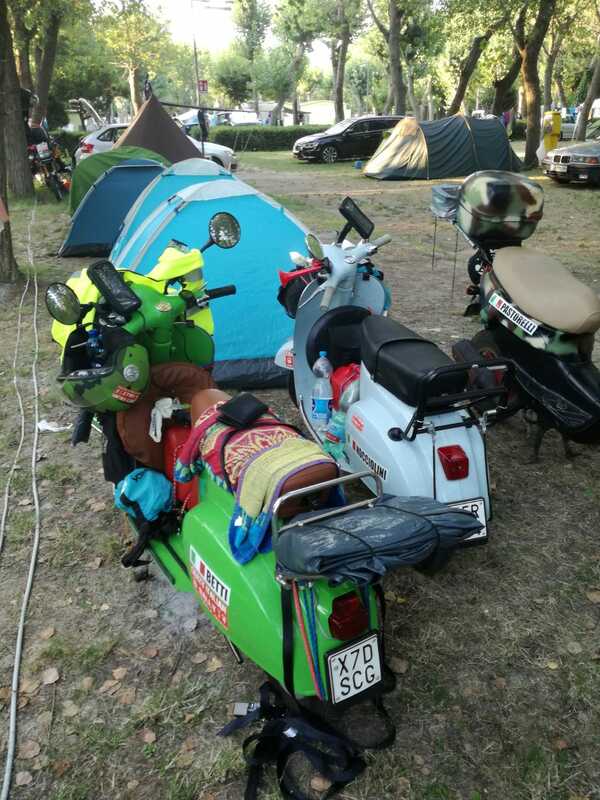 The most situable route for your own moped is your responsability. 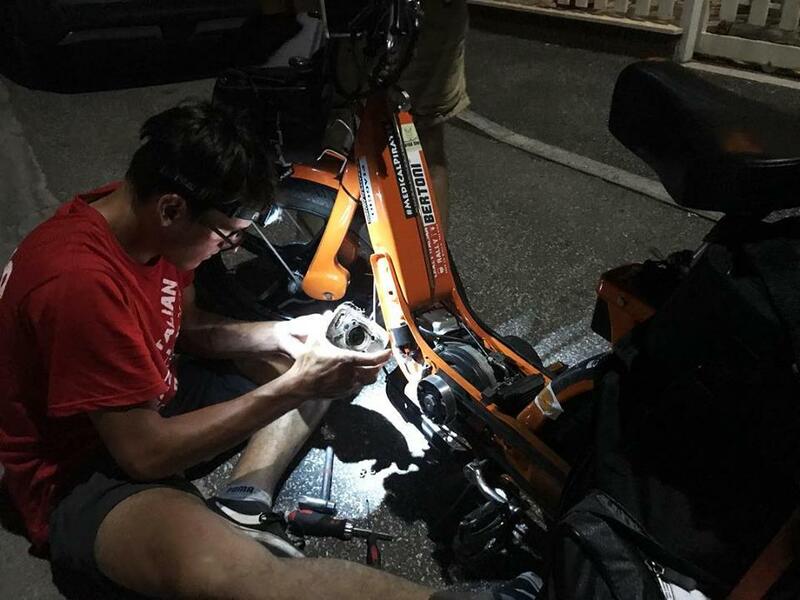 150 hours to cover The distance and cut the finish Line. Such as The most serious rallies, navigation is pilots’ responsability but you have to respect the assigned time. The event will only last 7 days. To be precise six and a half: from Sunday morning to the Saturday evening of the following week. 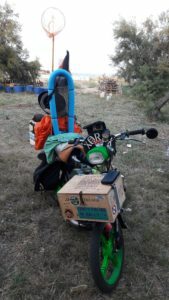 150 hours to get cross the whole Country, from North to South, on your noisy moped. 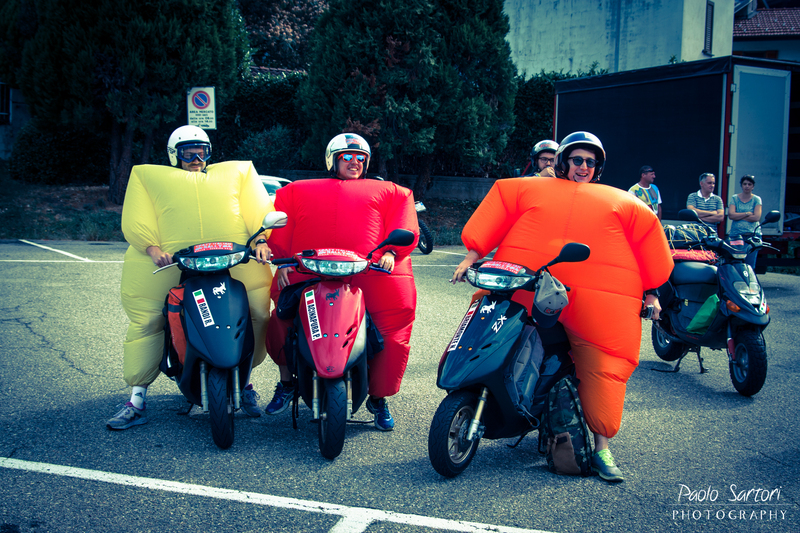 Maybe the best term to defines CrazyItalianRally is CHALLENGE. There is no competition and there are no ranking; the other participants are not rivals but the people who share the trip and help you in case of difficulty. The challenge is open to all of those who like challenging themselves and that aren’t big fans of “prepackaged” holidays. To all of those who love the journey, and don’t see it as a boring moment only to get to one place to another. 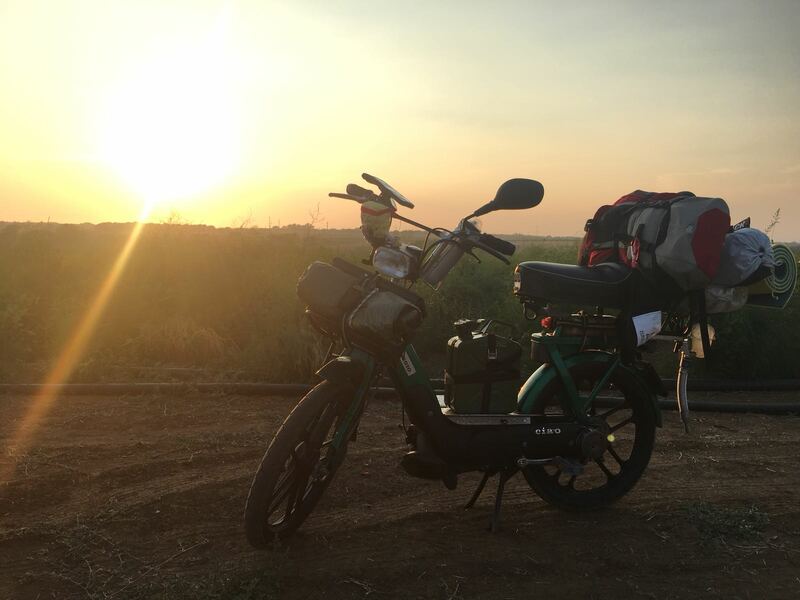 7 days, 2000 km and a 50cc moped are the right ingredients for adventurous people like you. 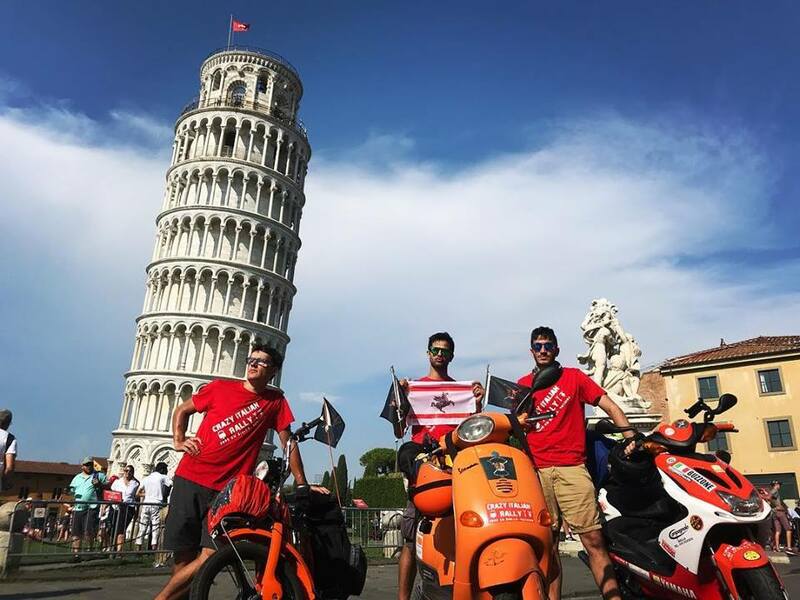 Like as the itinerary, each participant can decide how to face the challenge. Can do it in solitary, in small groups or decide to join a large group. We recommend large groups: at the end of seven days the other partecipants will be long-standing friends! The leaving party will be an opportunity to know each other! 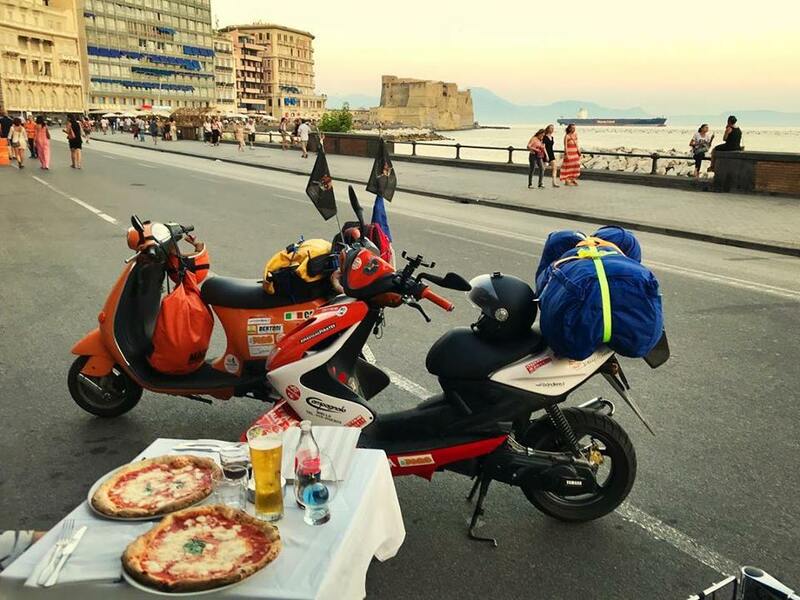 Some people prefer comfort, booking hotel at every check point to restore himself and leave the day after with more energy. 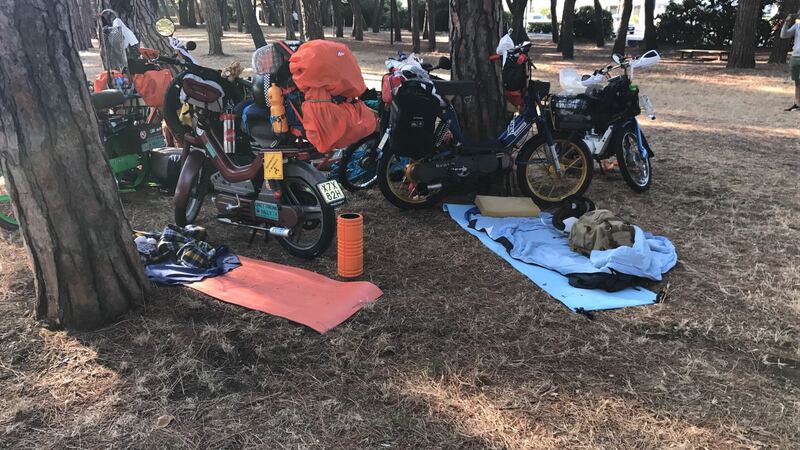 Camping is the most favorite solution: you can easily find a place, big group too, and most of all you can sleep near your personal motorbike. 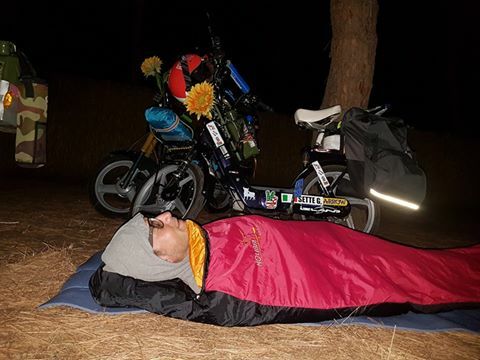 There are also some people that prefer brados travel style, making a parking or a green area near the street the own personal ”bed” for the night. Everyone can choose what prefer. 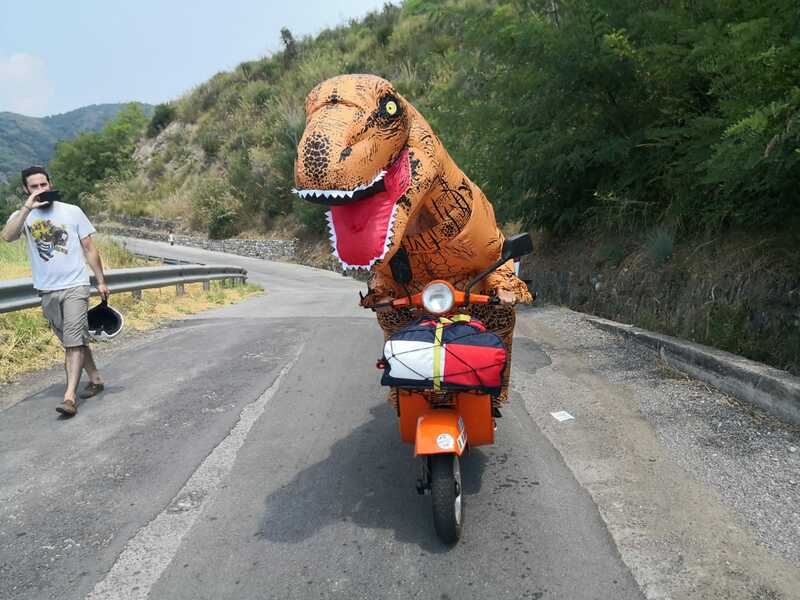 The beauty of Italy and a bit of madness complete the particulary of this event, and make it a GREAT EXPERIENCE. Without highways and travelling at a “ridicolous” speed you can see the most wonderful and not turistic places in the Peninsula. Beaches, cliffs, cities of art, typical festivals and so on… Crossing Italy in the middle of summer could make every break a magical moment like: swimming in the sea to refregerate body, eating every kind of regional and typical products, visiting very beautifull places in another way. And then the are camouflages, ridicolous gadgets and changes on your motorbike… a bit of madness to travel with fun and to get support from people that you meet on your way! !